Xiaomi has announced the ‘I Love Mi Days’ sale and it is now live on Mi.com, Amazon India and Flipkart. This sale has probably been announced at the pretext of Valentine’s day. The devices which are part of the discount are Xiaomi Redmi Note 6 Pro, Redmi 6, Redmi Note 5 Pro and the Mi Band HRX Edition. The Redmi Note 6 Pro that originally came with a price tag of Rs 13,599 for its 4GB RAM variant, will now come at a reduced price of Rs 12,999. Its higher end variant comes at a discounted price of Rs 14,999. Amazon, Flipkart and Mi.com are also offering no-cost EMI plans on the Xiaomi Redmi Note 6 Pro in addition to the exchange discounts and bank offers. The Xiaomi Redmi Note 5 Pro, for its 6GB RAM variant has received a temporary price cut. Over that, the 6GB RAM version of the Xiaomi Redmi Note 5 Pro is available at Rs 12,999 instead of Rs 16,999. Next, the Xiaomi Redmi 6 can now be purchased at a cost of Rs 8,499. Its original price was Rs 10,499, which means a Rs 2,000 discount is what users can avail on this mobile device. The Xiaomi Mi Band HRX Edition has also seen a price cut. It can now be bought at a discounted price of Rs 1,299. Lastly, the Xiaomi Mi TV 4A Pro, has experienced a price cut in all three shopping portals. On Flipkart, the discount has been implemented on the 43-inch and 49-inch variant. On Mi.com, the discount has been established on the 43-inch variant. In case of Amazon, the discount is on the 49-inch model. The price reduction in case of the 43-inch and 49-inch model is Rs 22,999 and Rs 30,999 respectively. The “I Love Mi Days” sale is concluding on February 13, 2019 in all three shopping portals. 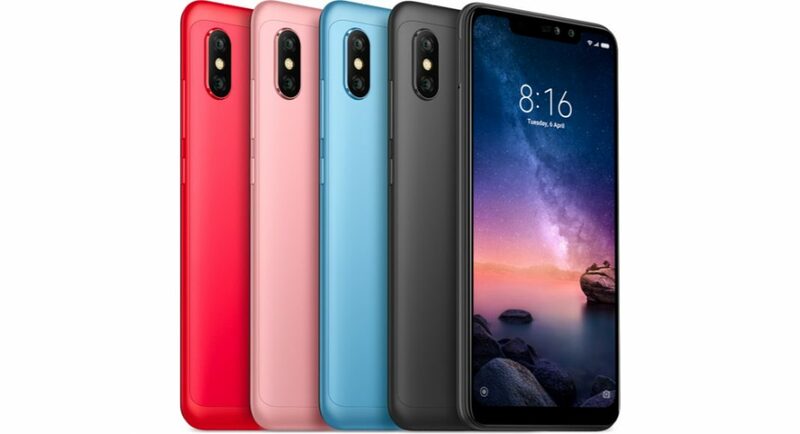 To recall, the Xiaomi Redmi Note 6 Pro sports a 6.26-inch 1,080×2,280 display with an aspect ratio of 19:9. It runs on Android 8.1 Oreo skinned with MIUI 9. The smartphone comes in three RAM variants 3GB, 4GB and 6GB. While the 3GB variant comes with 32GB onboard storage, the other two variants have 64GB onboard storage. There is a dual rear camera setup which comprises of a 12MP and a 5MP sensors. On the other side, the dual front camera meant for taking selfies comprises of a 20MP and a 2MP sensors.